Serene Waters ~ Juicy lime spiked with mint, ocean lilies, musk, palm trees and sea moss. All of our products are made by hand in small batches, using high quality ingredients. 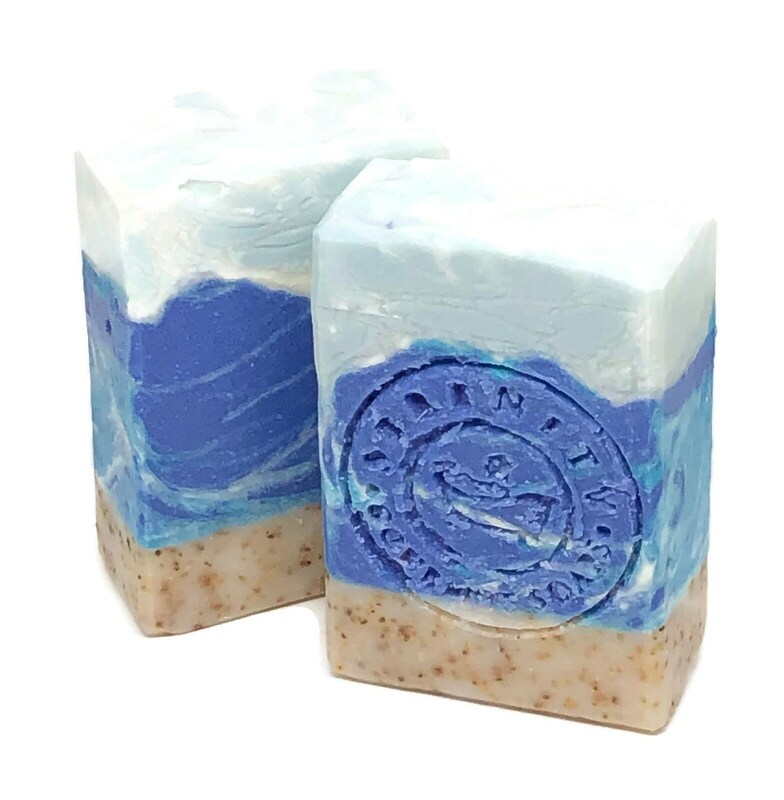 Treat yourself to a "Serenity Gourmet Handcrafted Soaps" experience today! 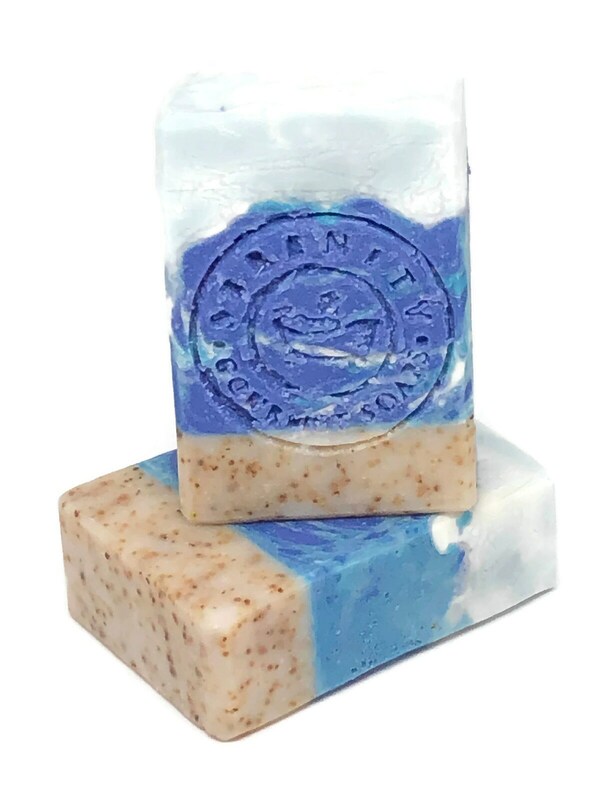 -Soap ingredients: Love, Distilled Water, Extra Virgin Olive Oil, Coconut Oil, Sodium Hydroxide ( saponfying agent), Avocado Oil, Canola Oil, Fragrance Oil, Kaolin Clay, Oatmeal Colloidal, Skin safe colorants. Orange Peel (for exfoliation). To ensure a longer lasting soap bar, place in a dry area after each use. We hope that you enjoy your "Serenity Gourmet Handcrafted Soaps" products, as we pride ourselves in offering great products. We use skin safe colorants ( mica, titanium dioxide ) and Fragrance Oils/Essential Oils from reputable companies. Please feel free to leave a review of your experience with us. Full payment is due prior to orders being shipped. We accept all major credit cards. We use the most economical choice of shipping (USPS) flat rate priority and standard first class when possible. For orders weighing more than 13 oz. Priority mail will be used. We refund any shipping overages over one dollar. Due to the nature of the products, we can not accept returns. We offer replacement for items damaged due to our negligence or a refund minus shipping and handling when needed. Orders are insured through the post office and we take pride in packaging our products carefully to ensure they arrive to you safely. However,if your order is lost or damaged during shipping, please contact us and your local post office immediately so that we will try to resolve the issue in a timely manner. We want you to come away from this experience happy. All custom orders are non-refundable. There is a 50% down payment due prior to the start of an order. I will send pictures periodically thorough Email to keep customers abreast of progress of custom order. Once the order is completed a final picture will be emailed for approval to ship. Final payment plus shipping and handling is due prior to shipment. If there is refusal to ship, the down payment of custom orders is non-refundable for time/labor and material.